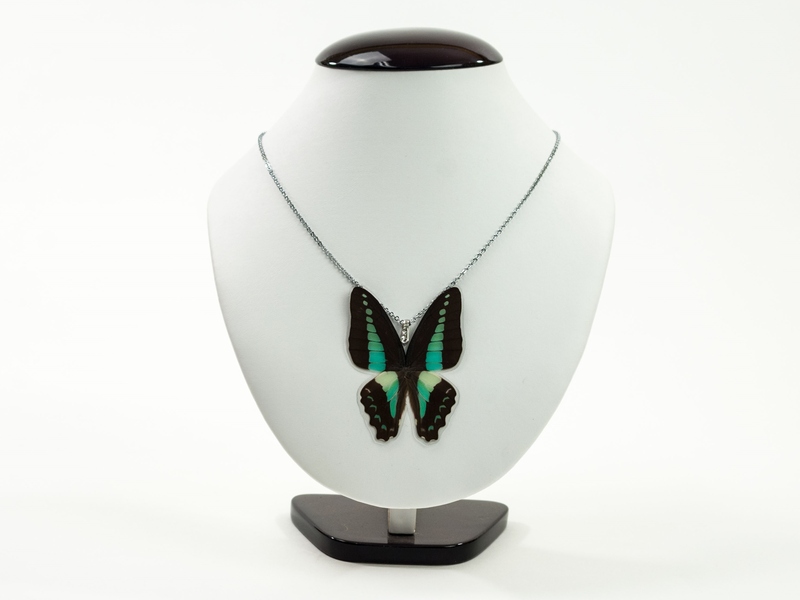 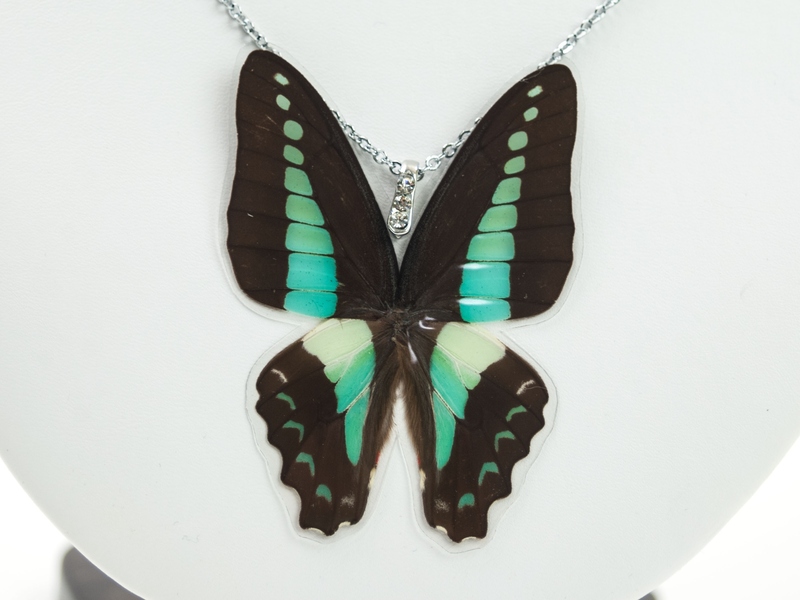 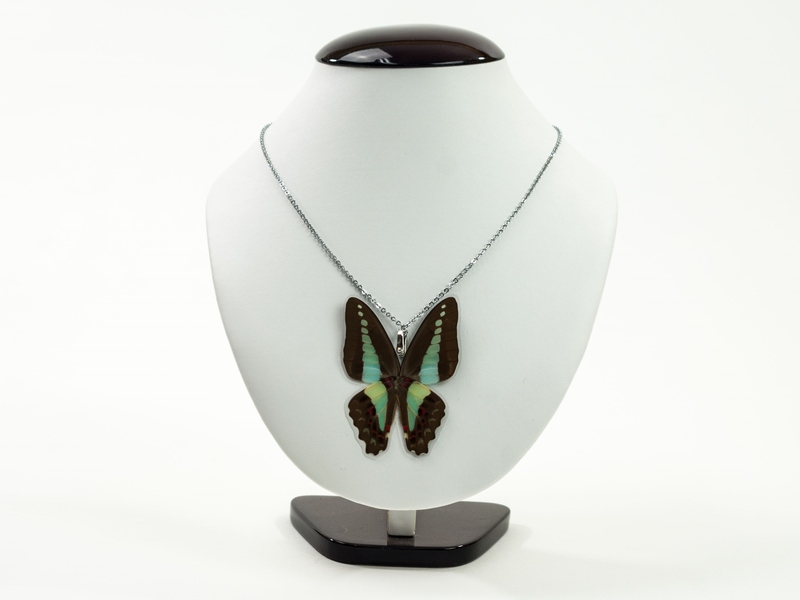 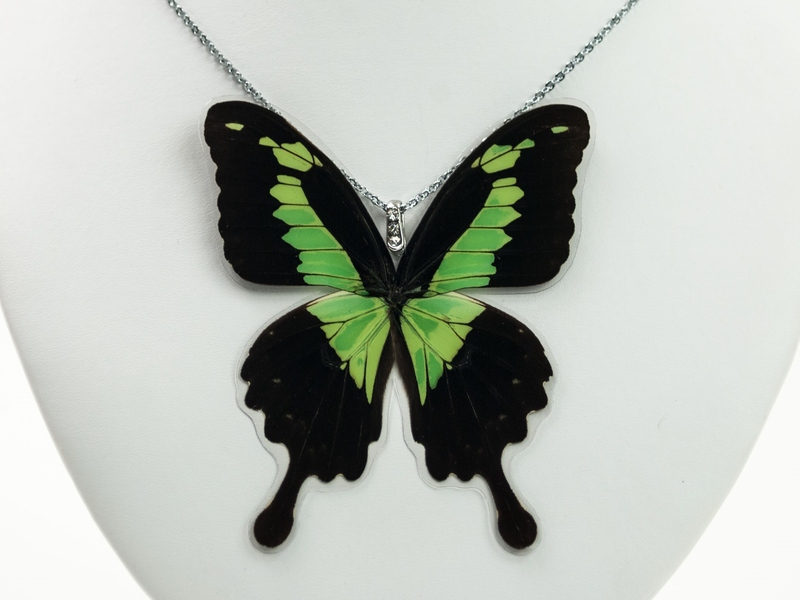 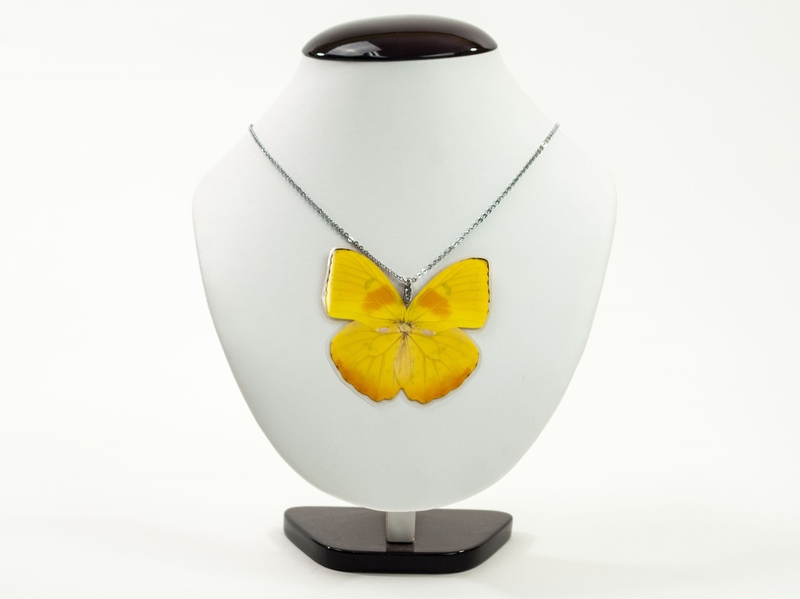 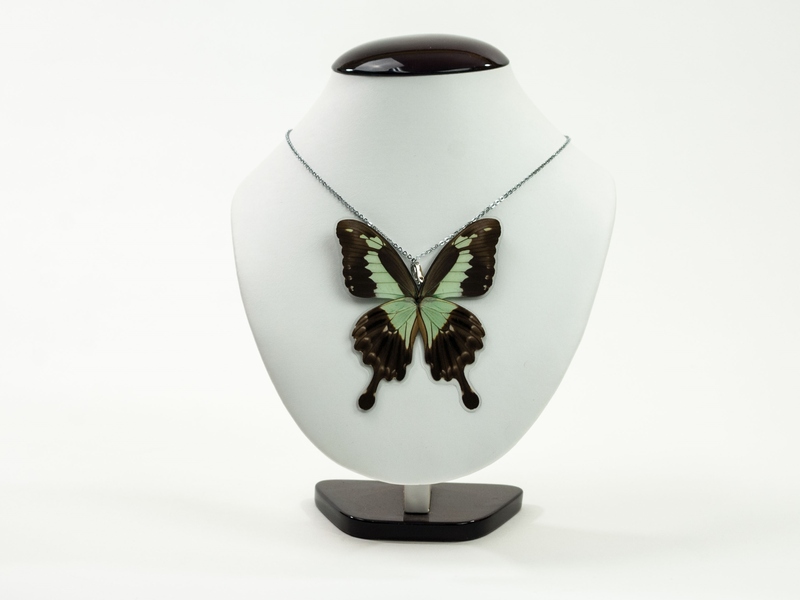 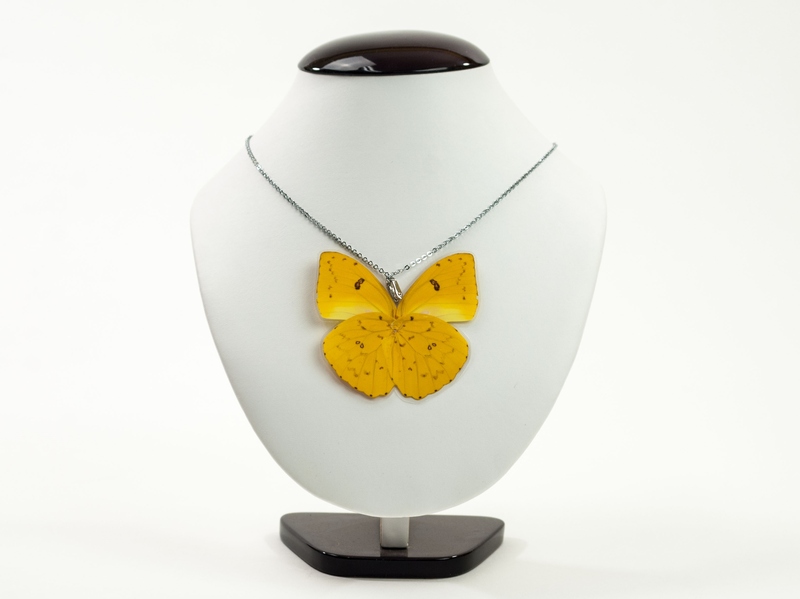 These unique butterfly and moth necklaces and earrings are made from real butterflies, each individually handcrafted to preserve them beautifully. Note that size and color may vary slightly. Necklaces are hung from 20" bright silver finish chains. 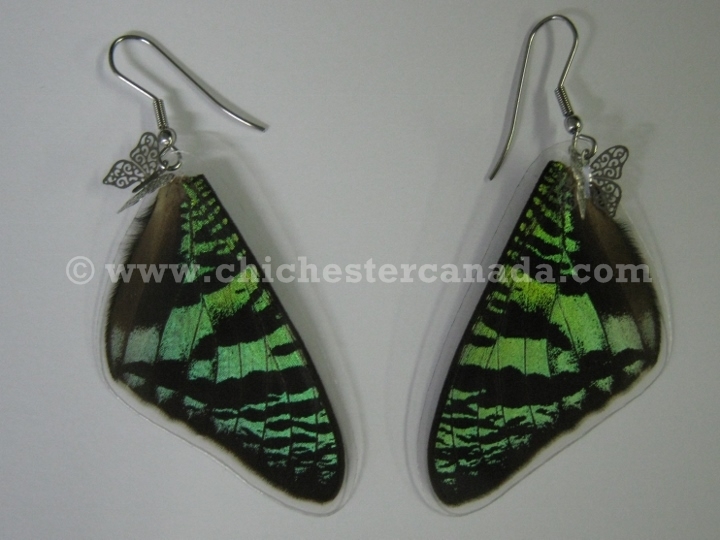 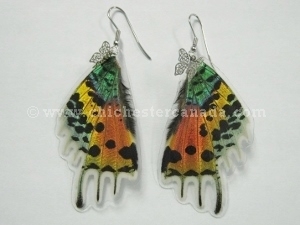 Earrings use hypoallergenic surgical steel, that is suitable for sensitive skin. 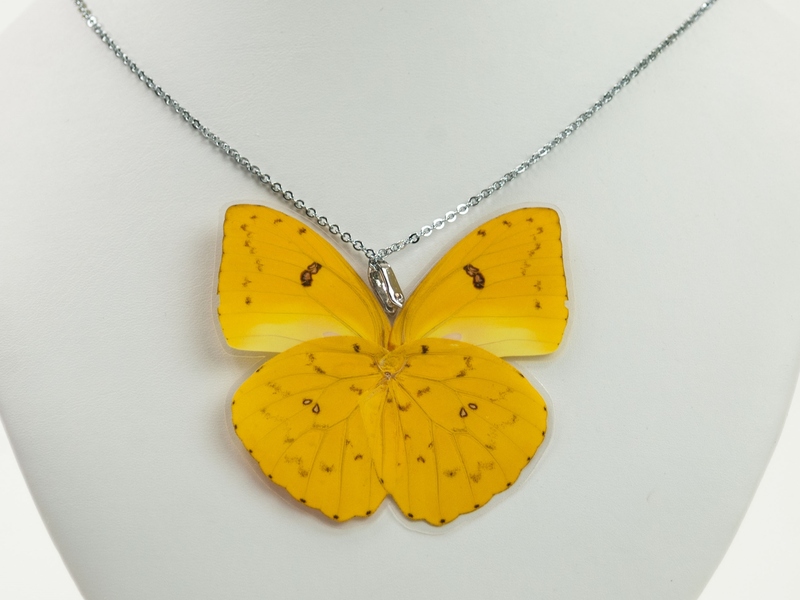 These butterflies and moths are not endangered and are not subject to CITES controls. 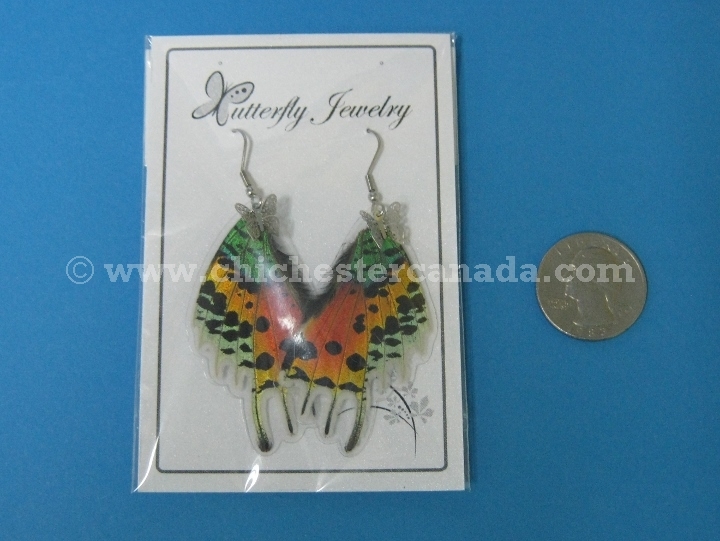 The wing is approximately 1.40" wide and 2.40" high. 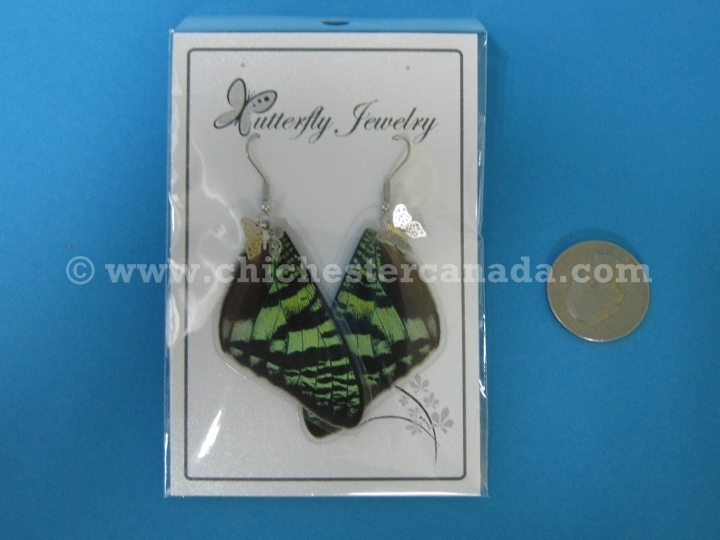 The wings are approximately 3" wide and 3.25" high. 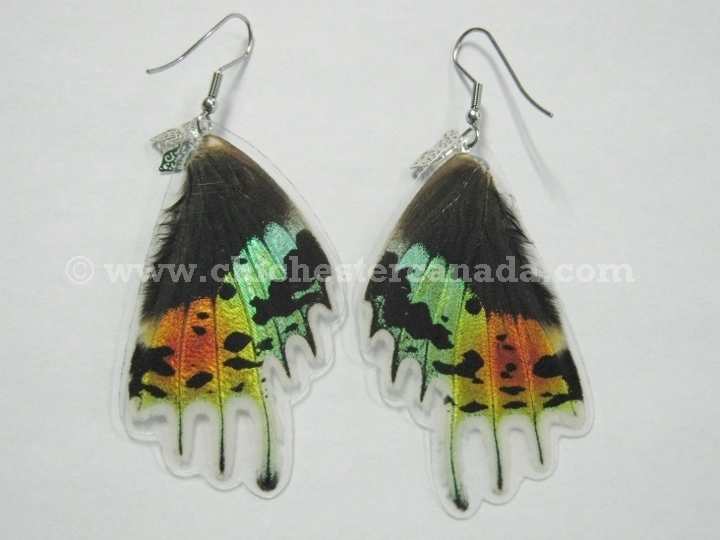 The wings are approximately 2" wide and 1.75" high. 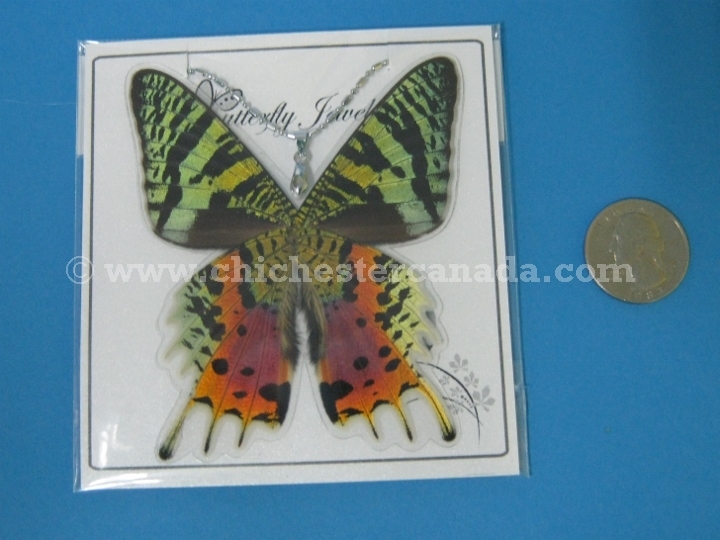 The wings are approximately 4" wide and 3.75" high. Each wing is approximately 1" wide and 2" high. 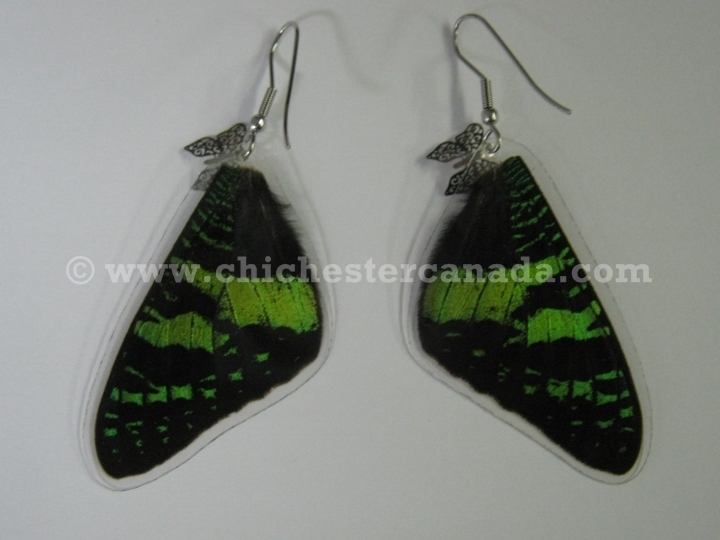 Each wing is approximately 1.25" wide and 2" high. 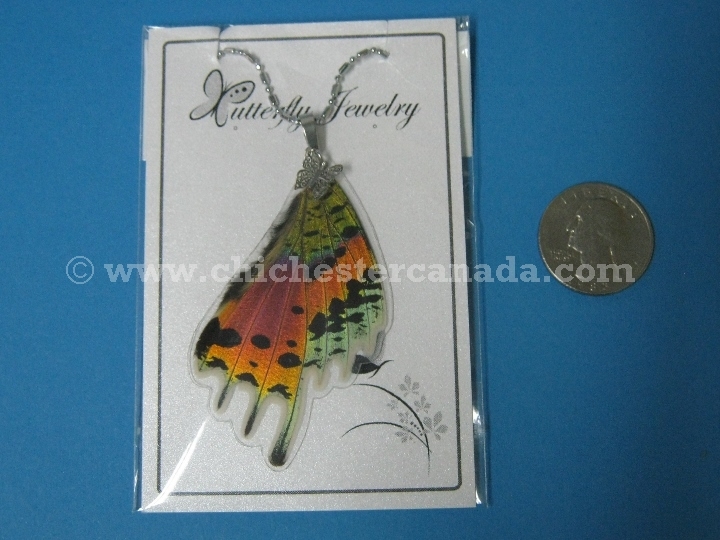 The butterfly measures 3" wide at the widest point and 3.75" high. 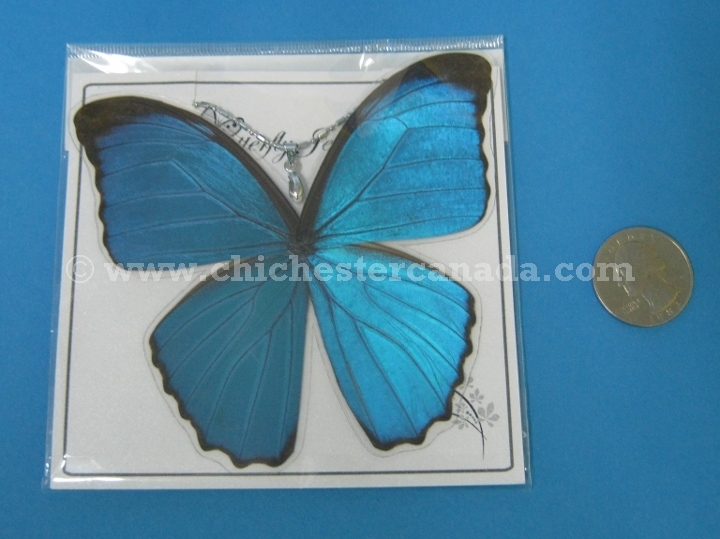 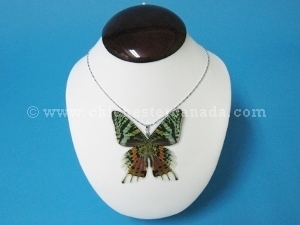 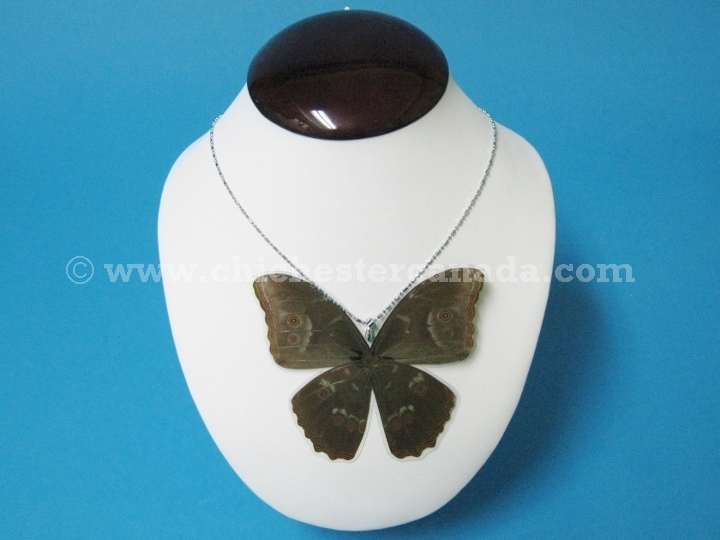 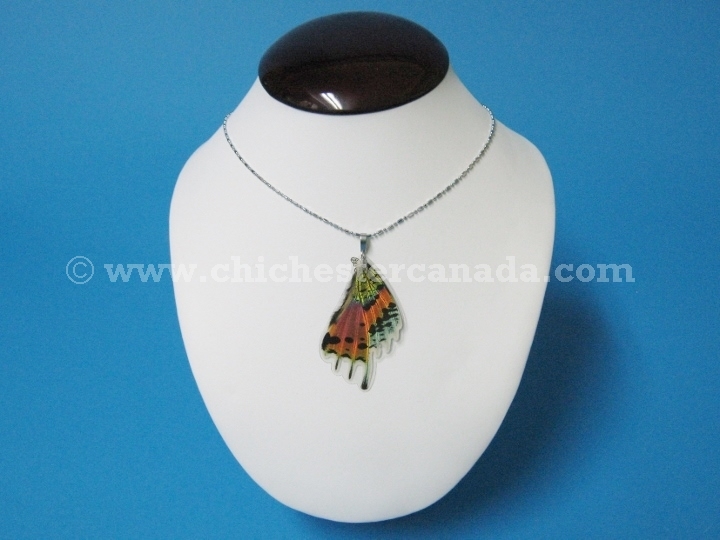 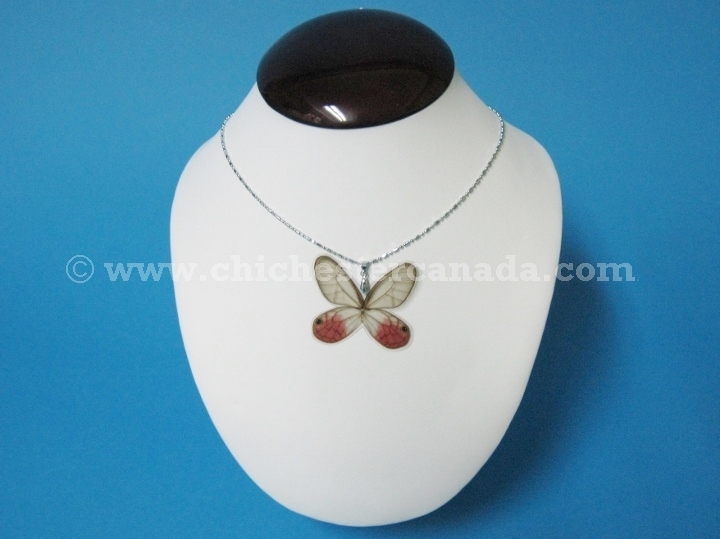 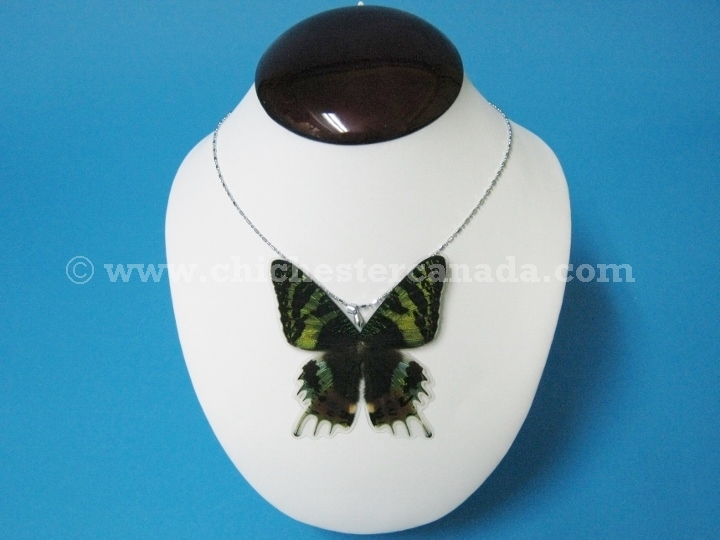 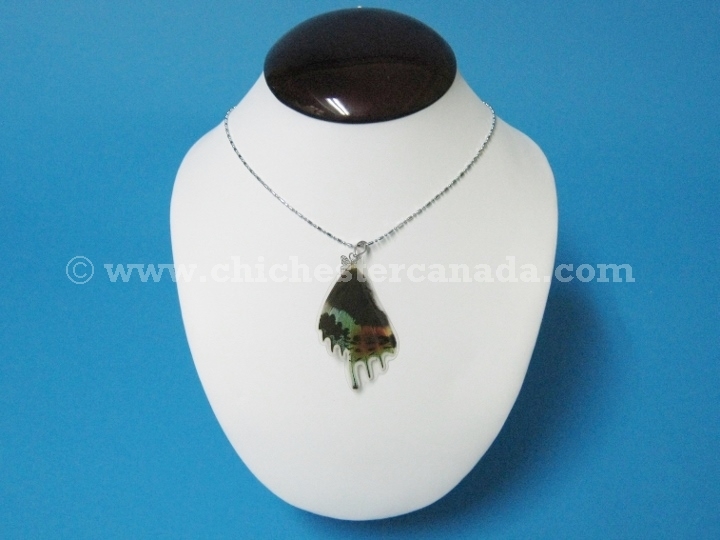 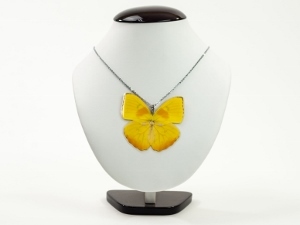 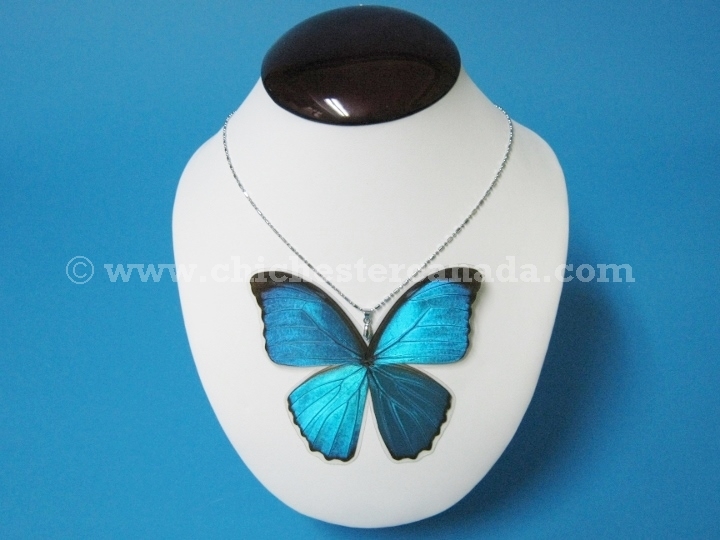 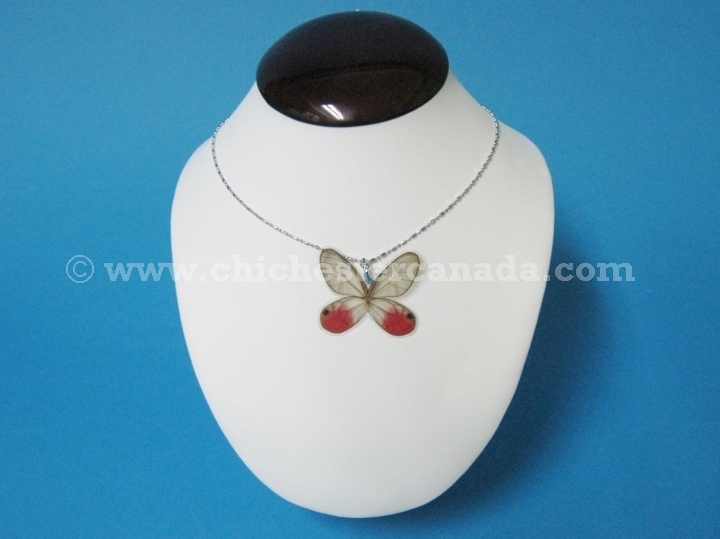 The butterfly measures 2.75" wide at the widest point and 2.75" high. 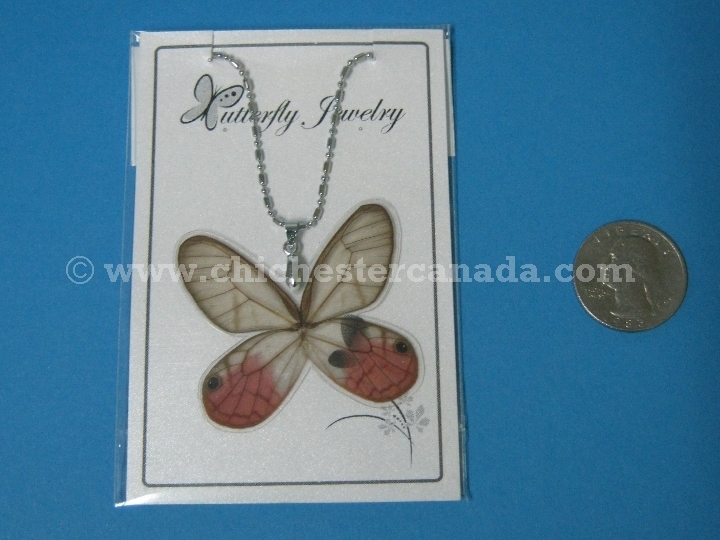 The butterfly measures 2" wide at the widest point and 3" high.